Whether you're making or buying an outfit, there are plenty of great Halloween costume ideas you should consider. Some are appropriate for specific ages or genders, while others will work for anyone. You can even dress up as a couple. If you're having a hard time finding an inspired costume this Halloween, one of these ideas may be the perfect solution. Sesame Street costumes are perfect for kids who love Elmo, Grover, Big Bird, and the rest of the gang. Practice your Doe-Ray-Me in a Sound of Music costume. Dress as Stephen King's Carrie by wearing an old bridesmaid's dress and a tiara. Splash red paint on your face and hands to add to the effect. Emulate your favorite cartoon character by making or buying a Teenage Mutant Ninja Turtle costume. Dress as the Terminator by wearing a black leather biker jacket, faded black jeans, and black combat boots. Accessorize your costume with 80s style black sunglasses and a water pistol. Make your own costume from the beloved TV shows and movies using a Star Trek uniform pattern. Dress as Quasimodo from The Hunchback of Notre Dame by building a "hunchback" out of foam or cardboard. Borrow an old coat that is several sizes bigger and wear a ratty wig. Keep your hand up to your ear and mutter whenever anyone asks you a question. Buy a Captain America costume for kids or adults or make your own Ironman costume and emulate your favorite superhero. Dress as Strawberry Shortcake by wearing a red curly wig, a hat that looks like a strawberry, a red dress with a white apron over the front, white tights, and white gloves. Carry around a basket full of strawberries to add to the effect. Buy a Smurf costume and go as Papa Smurf, Smurfette, or one of the other little blue guys. Dress as an Oompa Loompa from Willy Wonka and the Chocolate Factory by wearing white overalls, white gloves, and a brown shirt. Add a green wig and orange face paint to complete the look. Everyone loves Indian Jones, and it's easy to assemble an Indiana Jones costume from items you probably already have around the house. 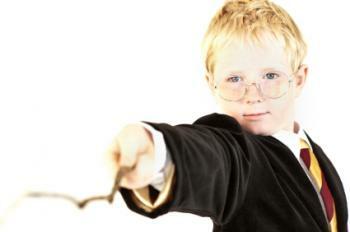 Dress as your favorite wizard with a Harry Potter costume you buy or make yourself. There are plenty of great characters to choose from. 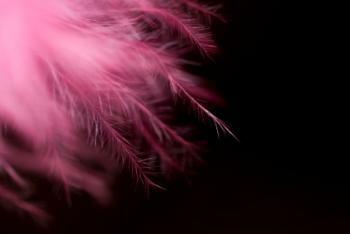 Dress as "Tickled Pink" by dressing in pink clothes and carrying a feather duster. Be a "Quarter Pounder" by carrying a quarter and a hammer. Whenever someone asks about your costume, put the quarter down and pound it with the hammer. Create a "Leaf Blower" costume by attaching a leaf to the front of a baseball cap. Blow on the leaf whenever someone asks about your costume. Buy several packs of Smarties candy and tape them to your jeans to go as "Smarty Pants." Emulate "white trash" by dressing entirely in white and sticking milk cartons, white paper scraps, and other white items to your outfit. Be "God's Gift to Women" by wrapping yourself up like a present. Attach a tag that says "From: GOD To: WOMEN." Dress as "Pig Latin" by buying a pig nose mask and wearing a sheet draped like a toga. Dress up as pancakes and maple syrup. One person can wear a sandwich-board-style pancake costume created from foam core board, and the other can dress in a brown body suit with a maple syrup logo. Go as a cat and witch. Make or buy a witch costume for one person and pick up some black cat ears and a tail for the other. One person can dress as an airline pilot while the other goes as a steward or stewardess. Just wear official-looking costumes in matching colors. Create your own ketchup and mustard costumes by buying giant cardboard tubes from the home repair store, making pointed hats out of poster board, and spray painting everything red or yellow. 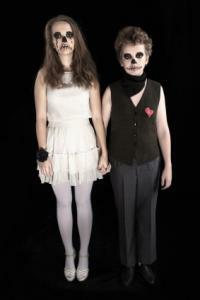 Go as a zombie bride and groom. Pick up an old wedding dress and suit at the thrift store, and use scissors to make them look ragged. Add some zombie makeup and messed-up hair, and you're all set. Dress up as a pair of dice. Cut holes in two same-sized cardboard boxes and paint them white with black dots. Wear black leggings and turtlenecks. Go for the classic angel and devil. Simply buy or make an angel costume and purchase horns and a red outfit for the other person. Go as Madonna. While there are lots of great ways to do this, the classic is a white busier and leggings, a white tutu, a platinum blond wig, and layered cross necklaces. Elvis is another great choice. 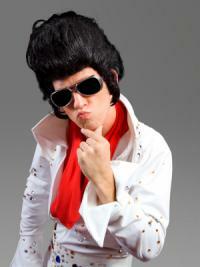 There are lots of great Elvis costumes to make or buy for kids and adults. Make or purchase a Cyndi Lauper Halloween costume to go as another important 80s music icon. Dress up as Michael Jackson. All you need to do is wear black pants, a black fitted jacket, a black hat, and one white glove. Go as Paul Stanley or one of the other band members when you make your own Kiss costume. Marilyn Monroe makes a great celebrity costume as well. For a classic look, choose a white dress with a full skirt and v-neck and wear a platinum blond wig. Cleopatra is a fun costume for girls and women. You can make or buy a Cleopatra costume, complete with black wig and asp. Wear a medieval costume and emulate royalty or a peasant. Dress as a Southern belle. All you have to do is pick up a full-skirted prom dress and a hoop skirt at the thrift store and add a parasol. Wear a Revolutionary War patriot uniform for a patriotic outfit this Halloween. 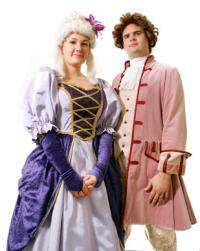 Dress as one of the founding fathers of the United States by wearing a white wig, a frock coat, and breeches. Try an ancient Greek costume to go as your favorite scholar or god or goddess. Make your own flapper costume by adding fringe to a simple dress and styling your hair in finger waves or a bob. If you love the era of Shakespeare and Queen Elizabeth, wear an Elizabethan costume to your next Halloween party. Wear a crown, a black velvet coat, and a stern expression to emulate Henry VIII. Victorian costumes are another fun choice, whether you're going as a specific person or simply someone from that era. Dress in a poodle skirt and sweater set for a fun 1950s costume. Create an outfit inspired by your favorite color. 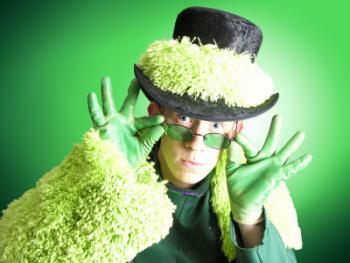 Dress head-to-toe in green, pink, purple, or another shade, complete with accessories like hats and glasses. Go as a favorite stuffed animal by wearing a sock monkey costume you buy or make yourself. Dress as a candy princess. Choose your favorite hard candy, such as lemon drops, and decorate a tiara and jewelry. Buy a thrift store prom dress in the same color and wear lots of sparkly make-up. Go as a smart phone. Make a giant phone out of foam core board and print a big picture of the screen at your local copy shop. Tape the picture to the phone and wear it in the style of a sandwich board. Dress as an artist's palette by making the palette out of white foam core board and adding globs of different colored paint. Carry a huge paint brush. Make a Rubix cube costume by painting a large cardboard box black and adding the appropriate colored squares. No matter which Halloween costume idea you choose, you'll have a great time this holiday knowing that your costume is the perfect one for you. You'll be the hit of your Halloween party or trick or treating group this year.